A St. Louis, MO marketing company provides some marketing truisms. 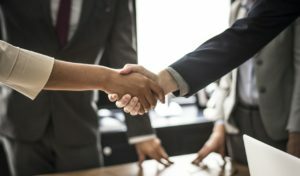 “Let’s face it: Doing business in the modern, global workplace means that you and every one of your departments are pulled in multiple directions all the time,” says Jessica Pyykkonen of Ghergich & Co. (ghergich.com). How to tap into customers’ emotions? “They need to feel as if you are tending to them and to their needs and wants,” she says. “While the layman may understand enterprise as ‘marketing for big companies,’ this … breaks down the strategy necessary for large-scale marketing,” she concludes. Best Strategies to Manage Unpredicted Business Growth — Fast growth can present difficult challenges for a business, if it isn’t prepared. That goes for any sector – from service businesses to manufacturers. Here are five best strategies. Psychological Pricing Tips to Sell More Products, Services — Depending on your products or services, psychological pricing is based on the idea that certain prices are more appealing. Here are six options. 7 Voice Tips for Professionalism If You Can’t Get Face Time — Face time is best for making sales calls, negotiating with associates or in job hunting. But if you can’t meet in-person, here are the phone-voice techniques used by top broadcasters and sales pros.